What are the keys to a career in technology? TECHNOLOchicas Jessica Santana and Andrea Chaves have the answer. Do you know of first steps that your aspiring TECHNOLOchica could take towards a career in technology? 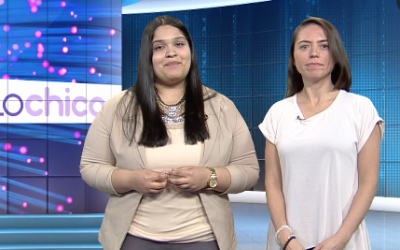 TECHNOLOChicas Jessica Santana and Natalia Rodriguez are here to tell you. 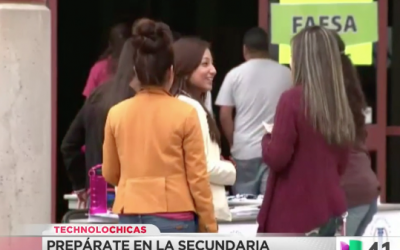 Univision 62 talked to TECHNOLOchicas Stephanie Tapia and Gemma Busoni while they were spreading the word about TECHNOLOchicas at SXSW, inspiring the world -- one hackathon at a time! 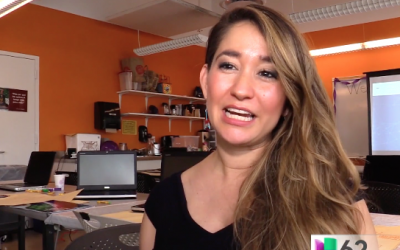 "Just in time for #WomensHistoryMonth, TECHNOLOchicas Natalia Rodriguez and Andrea Chaves share some inspiring #LatinasInTech. " Mechanical engineers are in charge of designing everything from spacecrafts to smartphones. What does your TECHNOLOchica need to do to learn how to become an engineer? TECHNOLOchicas Jessica Santana and Andrea Chaves have the answer.